At the core of chiropractic care is the philosophy that proper alignment of the body’s musculoskeletal structure, particularly the spine allows the body to heal itself by restoring mobility that has been restricted by injury to the tissue. Chiropractic care is used to treat a wide array of conditions ranging from musculoskeletal injuries causing both acute and chronic pain to orthopedic surgery rehabilitation, and many more. In chiropractic practices it is a commonly held belief that most human disease is caused by misalignments of the spine that applies pressure on surrounding nerves. These misalignments are called “subluxations”. Proper alignment of your spine is paramount because it impacts literally everything you do. It also affects your entire central nervous system. The central nervous system helps us perform basic functions we take for granted like tasting, smelling, seeing, hearing, thinking, dreaming, breathing, moving, running, sleeping, laughing, remembering, even your heart beating. 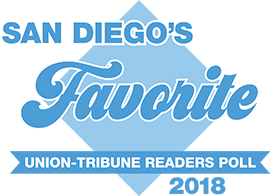 In 2016 we were fortunate to have our Chiropractic department awarded a Patient’s Choice Award and recognized as one of San Diego’s top Chiropractic practices. We are confidant it’s because we employ treatments that range from traditional to space age ensuring our patients receive solutions they need. If you’re seeking non invasive techniques to accelerate healing or simply keep your body running at its peak, come see what all the buzz is about. *Buzz worthy note: we accept most major insurance plans. Maintain a healthy spine, maintain your good health – Please click here, or call us today @ 619/814-5500, to schedule your appointment.